Local Events You Will Not Want to Miss! July Events To Look Forward To! Even though the 4th of July is over, that does not mean all the fun is over too! July is filled with fun, local events that the whole family can enjoy together! Make sure to mark your calendar for these community events that you will not want to miss out on! 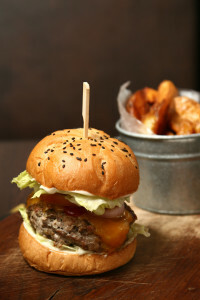 Burger Fest is happening on Saturday, July 19th, and is the perfect place to celebrate the birthplace of the Hamburger! Main and Buffalo Streets in the Village of Hamburg Municipal Parking Lot will be full of fun and exciting activities. Local restaurants will be featuring some of their most delicious dishes to enjoy. The kids are sure to love the inflatable rides and activities, while the adults can enjoy the Labatt Beer Tent. On July 25th, make sure to head out to Frontier Middle School for Dash-N-Splash 2015. The run starts at 9 a.m. and takes runners all the way to Hamburg Town Park Beach. This year’s event is helping to benefit the Town of Hamburg Recreation Foundation, which helps to raise funds specifically for the purpose of implementing the town’s updated Parks & Recreation Master Plan. The 2.5 mile course is the perfect way to get your heart rate up, while also enjoying the beautiful community. All of us at Robert J. Los Insurance Agency in Hamburg, New York would like to invite you and your friends and family out to enjoy these July events!